Nike Air Griffey Max II "White/Neutral Grey/Team Orange"
Future Hall of Famer Ken Griffey Jr&apos;s second pro model finally gets its time to shine. 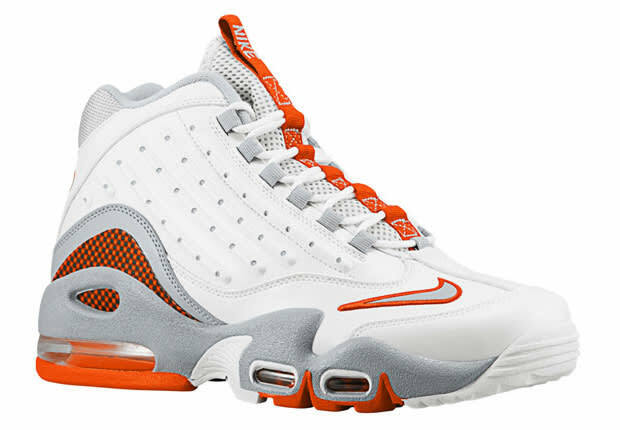 NIke Sportswear has decided to bring back the beloved Air Max Griffey II this spring. This is just a first of a series of colorways set to release in the near future. The simple mix of neutral grey and white is contrasted by the team orange just in time for the warm weather. These will hit NSW stores on Saturday, April 9th or you can head over to Eastbay and cop now.